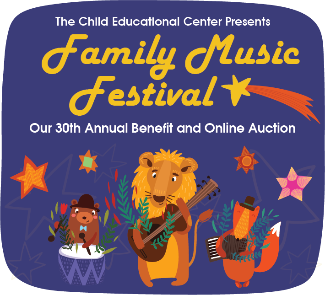 Thank you for your interest in helping decorate and doing general set-up for the Family Music Festival. As a volunteer, you will serve the hours listed for your role --sorry if you can only work a portion of the shift, we ask that you DO NOT sign up for it. *Please note: Because the FMF relies on parent volunteers for its success, we ask that if you sign up, and are later unable to work your volunteer slot, that you find another parent to fulfill the vacancy. If you plan to attend the festival, you must purchase tickets here. Help put together our FMF stars! Up to 2 parent participation hours. Help make the CEC campus look festive and ready for the FMF! You'll be hanging stars, moving furniture and helping out with all other campus set-up. Must feel comfortable climbing ladders and able to lift heavy objects.